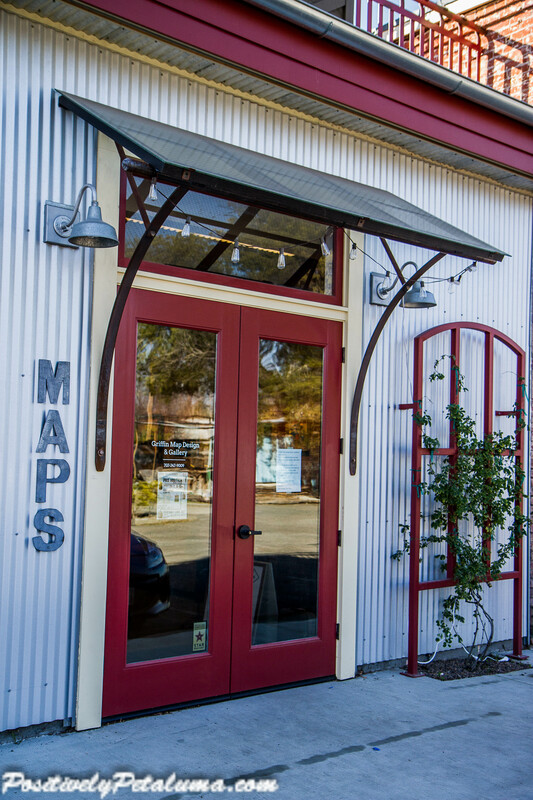 Petaluma has a rich history of wine and spirits. We not only have our very own craft guild made up of brewers, distillers and vintners who promote the crafts and spirits of our city, we will soon have our own Petaluma GAP (AVA) wine region. So what could complement that? 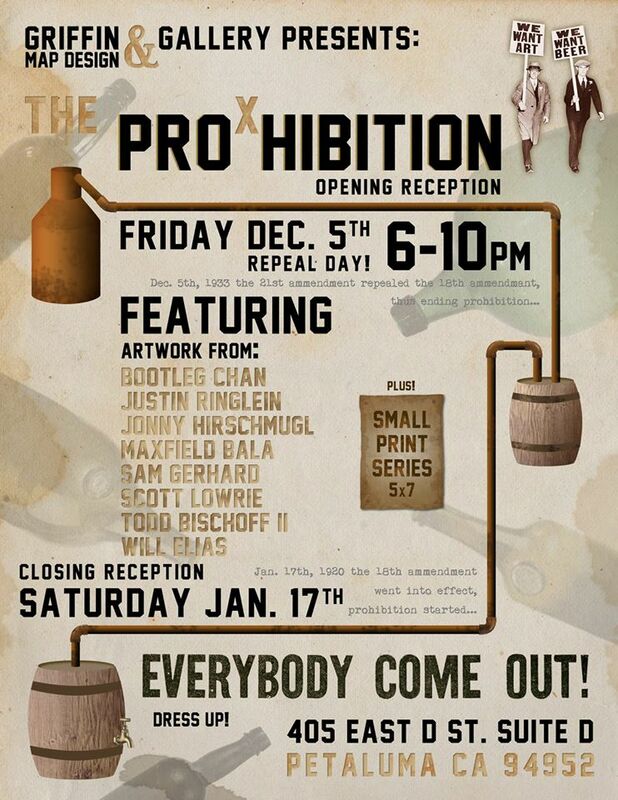 How about a prohibition themed art show. You will also see the artwork from Justin Ringlein, Will Elias, Todd Bischoff, Jonny Hirschmugl, Sam Gerhard, and let’s not forget “Bootleg” Chan. Scott Lowrie, the owner, known for his cartography work also creates interesting artwork with map themes. You may know what I am talking about if you saw his booth at the Petaluma Art & Garden Festival this last year. He also has other artistic talents like his “Miller Girl” piece of a prohibition woman who is about toss a bottle of booze. 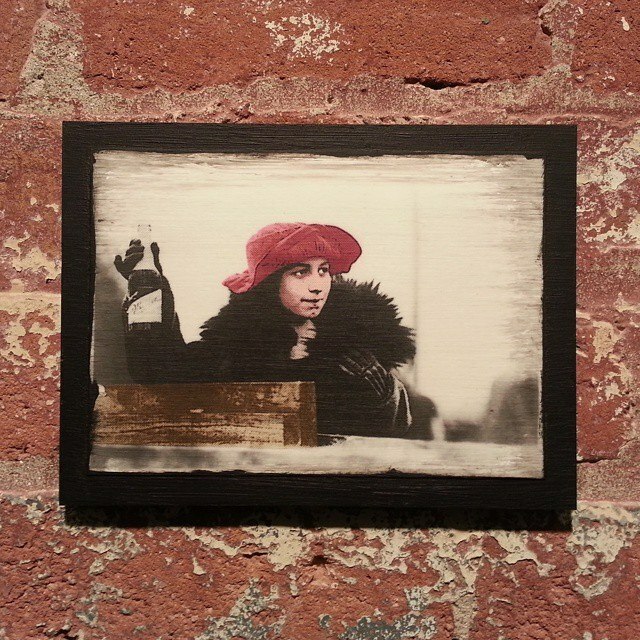 They are celebrating their closing reception of this interesting art display on Saturday, January 17th from 6-10PM. If you wish to dress to the era to celebrate the closing you won’t be alone. If you are shy you can have fun and people watch. They will be serving snacks and drinks. So if you wish to support a small local Petaluma business and area artists be sure to stop by and take a look before it is gone. Click here to see their facebook invitation.